Tax incentives have long been instrumental to the growth of solar power projects in the U.S. Most notably, the investment tax credit – permitting the deduction of up to 30 percent of the cost of installation from federal income taxes – has enabled substantial savings for residential and commercial customers. EnergySage estimated the average benefit from the ITC at $5,000. In June 2018, the Internal Revenue Service (IRS) issued Notice 2018-59, a framework that has since become informally known as the solar safe harbor agreement. This is an important new piece of new tax-related guidance governing when a project qualifies for the ITC. Solar projects that began construction before the end of calendar year 2019 still qualify for the full 30 percent deduction via ITC, but the credit declines from there, to 26 percent in 2020 and 21 percent in 2021. By 2022, it will no longer be available to residential taxpayers and will be only 10 percent for commercial ones. This sounds pretty straightforward, but there's the key sticking point of determining when, exactly, a potentially qualifying project "began," since many have multi-year cycles of off-and-on work that push beyond key statutory deadlines. Since early 2013, the IRS has focused on refining the rules in this area, in turn diverging from its historical regulations for renewable energy projects, which had required them to have entered service by a mandated date in order to be eligible for tax incentives. The agency has established two main tests for solar projects under Notice 2018-59 – the physical work test and the 5 percent test. Each has distinctive pros and cons, but the 5 percent test is likely to prove the most practical route for solar installers. The physical work test requires the initiation of "physical work of a significant nature" (as judged by a facts and circumstances analysis) and a continuous commitment to it. The most important stipulations of this test are that preliminary activities, like obtaining permits or securing funding, do not quality as physically significant, nor does any work involving assets already held in inventory. The latter is a big drawback for solar in particular, given the low number of custom components that wouldn't normally be in inventory. Almost everything else is standardized and on hand. The 5 percent test (or 5 percent safe harbor) is more flexible but potentially costly. If the taxpayer has paid or incurred 5 percent of the total cost – on a depreciable basis, excluding non-essential land – of the energy property, work is considered begun. That's a more objective definition than provided by the physical work test. Plus, project managers can establish continuous work simply by incurring more costs and attaining approvals, without needing to perform the extensive physical work (like excavation) that is common on wind projects but often unnecessary for solar implementation, e.g. on a rooftop. Purchasing inverters and panels is the easiest way to meet the 5 percent benchmark. It's less complex than trying to reach 5 percent through costs related to permitting and design. That said, paying/incurring 5 percent, while a small share of the project's total cost, can be huge in absolute terms, in the tens of millions of dollars in some cases. ● Ensure delivery of any orders within 3.5 months of purchase. ● Be careful about grandfathered equipment that might help you meet the threshold but become outdated by the time the project enters service. ● Make all of your contracts legally binding under state/federal law to establish specs for everything purchased and conditions for dissolving agreements. For the next four plus years, Notice 2018-59 will inform every residential and commercial project seeking to qualify for the ITC. 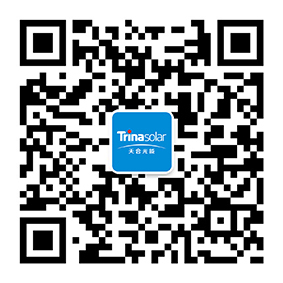 Trina Solar is here to help you navigate project planning and procurement in the years ahead with our world-class inverters, panels, services and more. Explore our products and solutions page to find out more details.